Hey, I'm still alive! The main problem aren't admins but contributors. Let's talk about contribution first instead of technology. French wiki is administrated by Lmallet only. There's currently one active contributor. Spanish wiki is administrated by vilvoh and Zeno. There's currently no active contributor. Italian wiki is administrated by Ozone only. There's currently no active contributor. English wiki is administrated by me only. There's currently no active contributor. I've planned some software updates within May. OK, you are right. Maybe the problem is walking in circles. Until now, it seemed to me that almost all wikis are dead because nobody can register. Until now, it seemed to me that almost all wikis are dead because nobody can register. I will have a look into that. Older versions of MediaWiki suffered from letting spammers in but the new versions should avoid that. Dirk, I would like to contribute to the English wiki. The question is: Dat reference from tikiwiki for all languages? My suggestion would be, to use the dat-reference in the 'German' wiki. Although this wiki is mainly in German, many pages are translated into English at least. These pages are ready for anonymous translations in several languages. 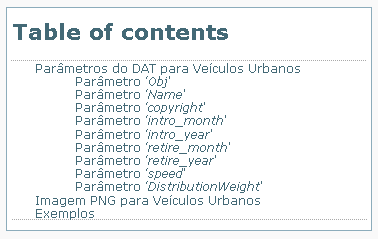 It is possible to translate only small parts of a page (see this icons on the right of each page). I must admit that writing in this wiki feels sometimes like hacking. However, Frank has put (and is putting) a lot of effort in these pages to keep them up-to-date. So there is no need to start from scratch with your favorite language. I'm currently trying to flesh out and add links for different entries. This will be a big project and it will go slow as I also have to upload images too. But hopefully you all might like the current edits. It's slow going but steady! I try to do a little bit each day. New images are not added, however I have begun to expand the tool descriptions. I also made a bunch of other miscellaneous changes that you can see in the Recent Changes section. If anyone has any priorities of things they would like to see documented in the Wiki, please let me know. I'm also trying to add new categories to aid navigation, and eventually I hope to have some templates at the bottom that will allow rapid browsing of the items in a toolbar. Frank copied pak-creation-specific pages to other languages within the German Wiki, to have them translated, but litte happened (sorry). The main obstacle in that for me is that editing in Tiki-Wiki feels rather awkward, I still haven't learnt (or cared to learn) its syntax (which seems so many strange tags). In Media-Wiki (which I also use elsewhere), I can just start typing. I hesitated to take Frank's (well, nearly 100% of the German Wiki's content is from him) texts and pictures, and put them - translated - into the English Wiki. I would prefer that all Simutrans docs, tutorials, texts, e-books, wikis and anything related to "how to play, extend and develop Simutrans" should be stored in one place. I know this will involve Ormac, whoami, Frank, Prissi and other members, active and non-active ones. But it's better a team maintaining a single site than each person maintaining lonely a site. I would like to translate the sentence "Table of contents". What role do you have, dwachs? Nothing high up in the hierarchy, although I am allowed to edit German pages. Somebody deleted the comments. I could have done this myself now, but I am pretty sure I was not allowed to do so last time I logged in. Somebody, Frank or Susanna, added you as an Editor, and editors can delete comments. There's nothing on shoutbox, where sometimes we list who we deleted for spamming. In existence of which still care?